See more objects with the tag graphic design, advertising, flowers, art deco, intertwined, typography, exhibition poster. This is a Poster. 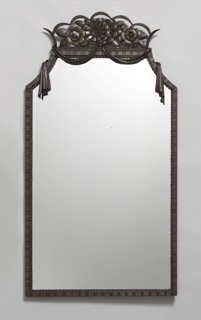 It is dated 1925 and we acquired it in 2004. 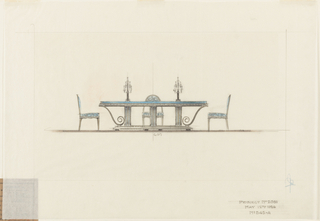 Its medium is lithograph on tan paper, lined with linen. It is a part of the Drawings, Prints, and Graphic Design department. 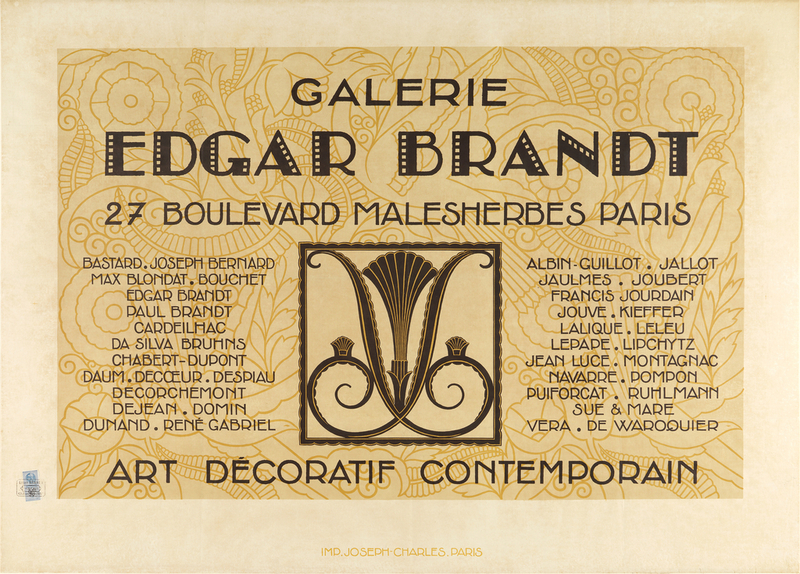 Metalsmith Edgar Brandt’s lithographic poster uses the opulent motifs of his decorative ironwork to promote the French Art Deco designers represented in his gallery. 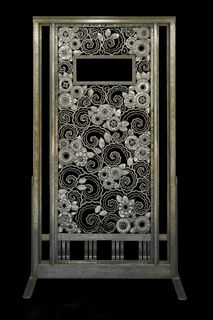 The floral and leaf background and curving papyrus leaf recall elements of his designs for door grills, radiator covers, fire screens, and console tables, while the bead-like motif highlighting the letters of Brandt’s name repeats a decorative element he frequently used to frame wrought iron designs. 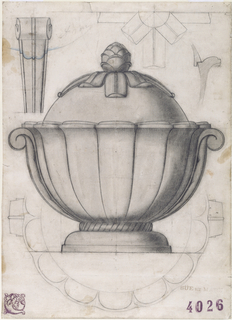 This object was catalogued by Julie Pastor. 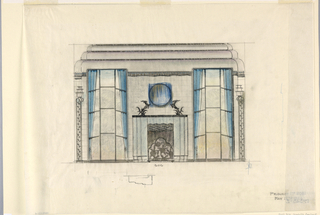 It is credited Museum purchase from Drawings and Prints Council Fund. 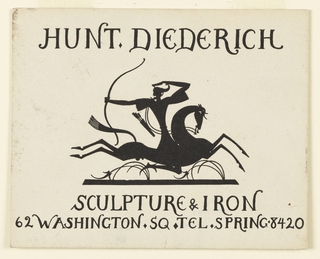 Business Card, Hunt Diederich Sculpture & Iron, n.d.
At lower left, a tax stamp is fastened with an adhesive and a printed cancellation mark.